Nearly half of Minnesota homes have radon levels that pose significant health risks. Is your home one of them? Don’t leave your family’s health to chance. The only way to know for sure if your home has dangerous levels of radon gas is to perform radon testing. According to the Minnesota Department of Health, the average Minnesota home contains radon levels that pose the same health risks as smoking about 9 cigarettes a day (4.6 picocuries per liter of air). Minnesota ranks fourth in the nation for high radon levels. We sell a variety of EPA-approved radon test kits that you can easily deploy yourself. At the end of the test period, you simply mail the kit to the lab for analysis. These kits produce very reliable results. A great choice for homeowners that can be used to continuously monitor radon levels. These radon monitors can be used to test multiple locations and give both a long and short-term radon concentration average. Our certified experts set up a continuous radon monitor (CRM) in your home. After approximately 48-96 hours, we return to collect the results. This is the most reliable form of testing and gives you a detailed report. This method is used mostly in real estate transactions because of its ability to detect tampering. Just because your home had a low level of radon when you tested it five years ago, doesn’t mean it’s still low today. Radon levels can change over time and even throughout the year. Freezing and thawing, changes to ventilation, and weather conditions can all alter the radon level in your home. We recommend having your home tested at least twice: once in summer and once in winter. We also recommend testing your home every few years to ensure your levels stay low. Make sure your home is safe. Test your home for radon today. 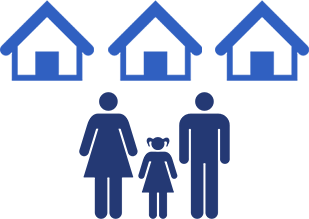 For accurate results, fully close your house 12 hours prior to and during a short-term radon test. Keep all exterior doors and windows closed. Normal entry and exit is fine if you close the door behind you. Check the forecast to avoid testing during severe weather with heavy rains, heavy snow, and strong winds. These weather events can cause radon levels to be abnormally high or low. If you are conducting a post-mitigation radon test, be sure the radon fan has been running for at least 24 hours. The best locations are interior areas where you spend most of your time, such as bedrooms and living rooms. Avoid testing in a mechanical room, bathroom, kitchen, laundry room, closet or crawl space. If the home you’re testing is part of a real estate transaction, test the lowest livable level of the home. If not, test the lowest lived-in level of the home. Humidity and air movement can skew radon test results, especially if you’re using a radon test kit with activated charcoal. Test at least 3 feet from doors, windows, hallways, exterior walls, and heat and AC vents. Test 2–5 feet from the floor in the normal breathing zone. If someone in your family sleeps in the basement, we recommend testing at the same height as their head when they’re in bed. Radon levels are typically higher by the floor than they are by the ceiling. If your home has multiple levels, such as a four-level split, basement with a crawl space, or if the foundation is more than 2,000 square feet, we recommend you test multiple locations. Test each level of the home that is in contact with the ground. If your home has a crawl space, test in the room above the crawl space rather than in the crawl space itself. It’s OK to run your heat and A/C during a radon test. However, don’t run attic, ceiling, or window fans, which create drafts. If you have a window A/C unit, set it to recirculate. A professional radon test might not be in your budget, or maybe you just prefer to do things yourself. Our home radon testing kits produce reliable results when used properly. But you need to know how to interpret those results. When you purchase a kit from us, we personally follow up to deliver the results and explain exactly what they mean—including our recommendations to protect you and your family. In most cases, your seller is only willing to do the minimum amount possible to sell their home. They don’t have to live with the consequences of breathing in poisonous radon every day. But you do. 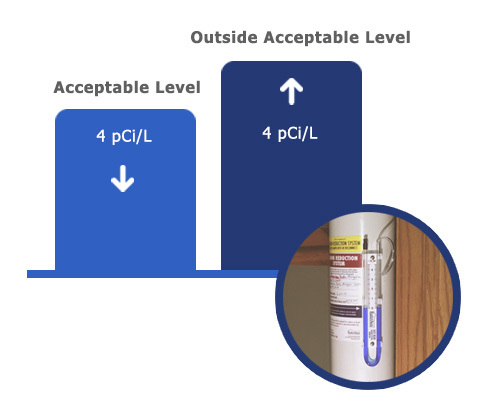 When you’re in control of radon testing, you get the most reliable results, so you can see the true level of radon in the home you’re thinking about buying. Unlike many other radon mitigation companies, American Radon Mitigation focuses on the needs of the buyer, not the seller. Don’t leave radon testing and mitigation up to the seller. Contact us today to be sure the home you’re purchasing is safe.